Modern Fabric :: Retro Fabrics :: Maharam "Contrary Ginger" Upholstery Fabric 17 1/3 Yards - Free Shipping! To order any of our fabrics, just send an email to us with the fabric description and amount you wanted. For all orders, we send a Paypal invoice so you can pay safely and securely. 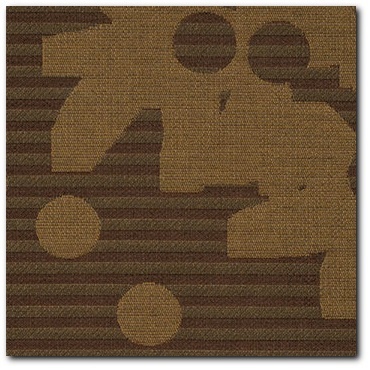 This listing is for 17 1/3 yards of "Contrary" modern upholstery fabric in the "Ginger" colorway by Maharam. Nice modern large-scale pattern in a Rapidly Renewable Content textile. Durable, smooth handed weave, mid-century modern cotton/nylon/polyester blend. This will look great on that special project! No longer available from Maharam, get this lot while you can! You could pay $54.00 a yard (a $934.00 retail value! ), but why??? As always, we offer a premium fabric to our buyers for much less! We try very hard to accurately photograph our fabrics, but please be aware that colors can vary from one computer system to another. Swatches (free - limit 4) are always recommended for your satisfaction in purchasing the correct fabric for your project.